After a moment of silence, Keegan had the feeling that someone was watching him. He looked back over his shoulder and saw a flash of auburn hair duck behind a feed barrel, leaving only the hem of a green dress visible. Annaka stood up from behind the barrel with a gasp. “I would never!” She declared. ​Keegan shrugged with a sparkle in his eye. “My secret,” he teased. Annaka is a creative, lively and open-minded young lady. She is humorous and has a contagious zest for life. Her enthusiasm and sparkling energy inspires others and sweeps them along. She enjoys being with other people and has an uncanny intuition for their motivations and potential. Fun and variety are guaranteed when Annaka is around. However, she is sometimes somewhat too impulsive in dealing with others and can hurt people without really meaning to do so, due to her direct and sometimes critical nature. She is a keen and alert observer; she does not miss what is going on around her. Life for her is an exciting drama full of emotionality. Annaka's story is mostly the same as her sister Erewhon's. She was only 4 years old or so when she and Erewhon became orphans. She was raised by her sister with the help of a kind elderly couple living in the same village. 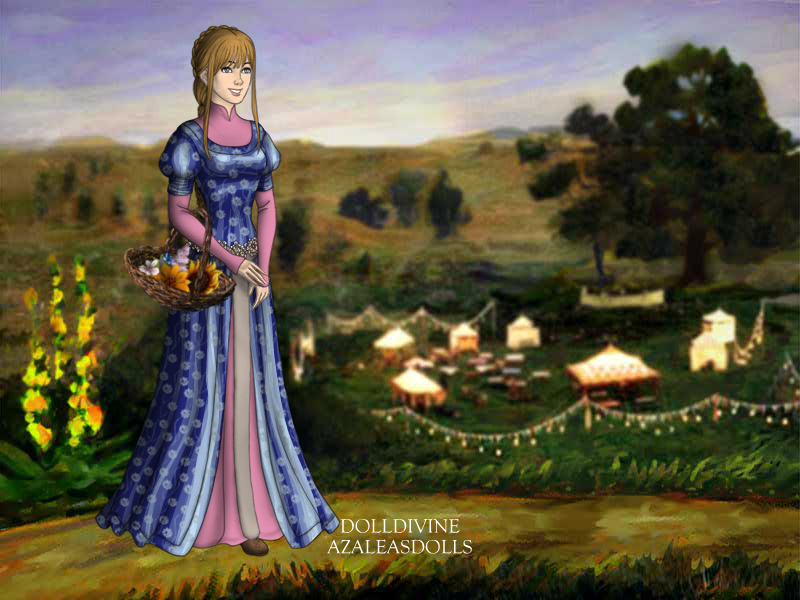 She learned to work in the garden and with the farm animals, and to cook and wash, but Annaka always knew she was meant for greatness. At least, she always acted like it. When King Orwin discovered Annaka and Erewhon were his nieces, and took them in, Annaka had little difficulty adjusting to the life of a princess. She quickly placed the entire court under her spell, becoming everyone's favorite princess. Her uncle especially likes to dote on her. She makes it her business to know everyone else's business, and she tries desperately to keep things fair and fun. Read about one of her playful shenanigans RIGHT HERE.